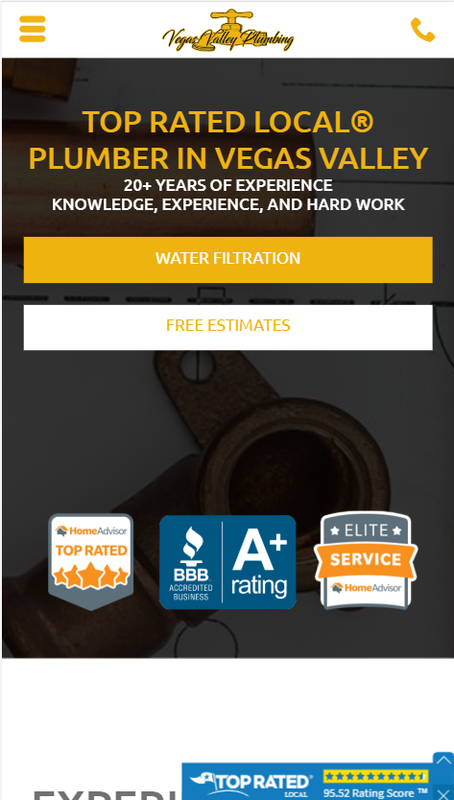 This plumbing contractor uses Marketing 360® and their UXI® conversion-based website design to get some spectacular conversion results. Here’s the breakdown. We’re going to throw a number out at you that – at first – seems hard to believe. 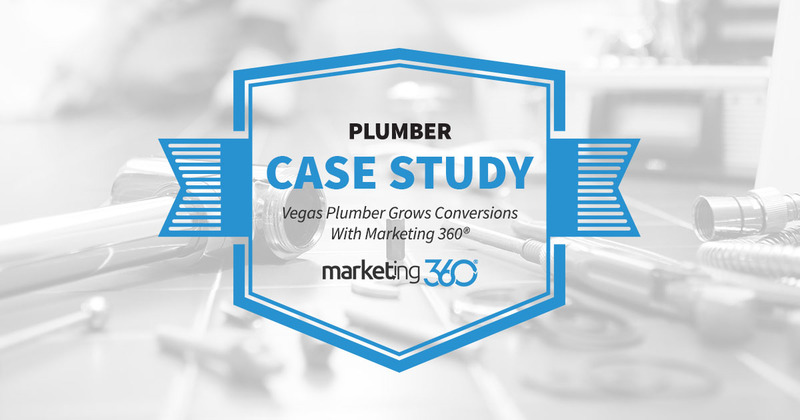 The plumbing business that is the subject of this case study has an extraordinary conversion rate on organic channels (SEO) of 84.93% in the last 180 days. Their overall conversion rate is 57.84%. If you’ve done some online marketing you’ll realize how stellar those numbers are. We often talk about exceeding 10% conversion rates with website marketing as being exceptional. 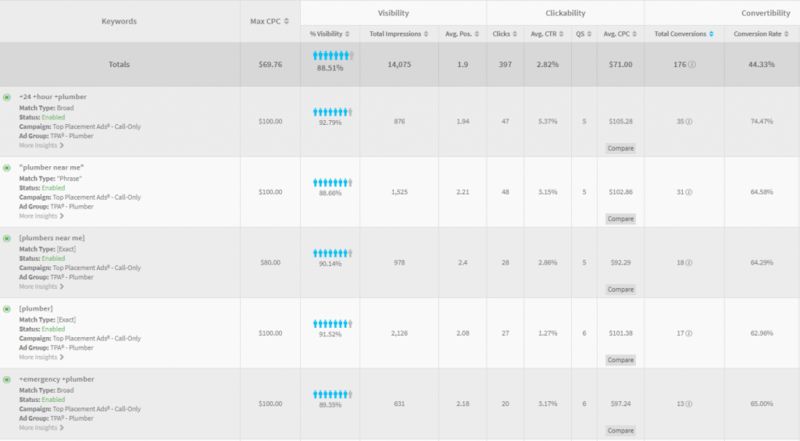 Converting better than 8 out of every 10 visitors is out of this world. First of all, it has to do with how they track conversions. We only see conversion rates this high when the business is using call tracking in their conversion metrics, particularly with contracting businesses like plumbers where the majority of conversions are phone calls. This shows that if you really want to know how your marketing is doing, use call tracking. 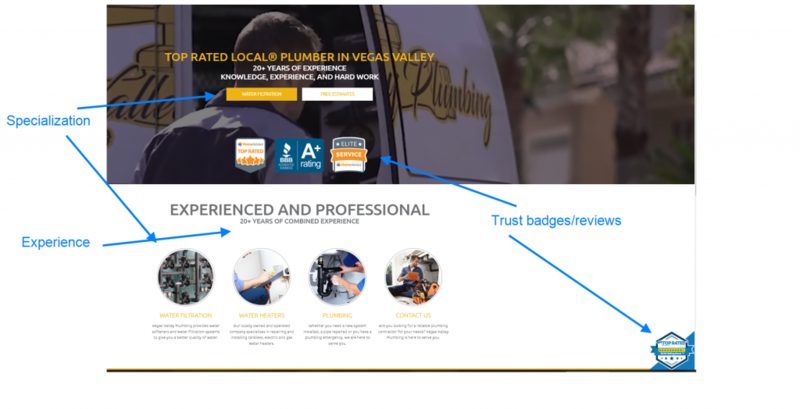 So, if someone searches for plumbers in the Vegas Valley, this site is all over page one. Also, note that this is the mobile version of their website with the click to call button in the upper right corner. The increase in mobile searches with click to call buttons as the call to action has greatly increased what your conversion rate goals should be. Strong calls to action for phone calls, estimate forms, 24/7 emergency service, and a number for Spanish speakers. An emphasis on their specialty, which is water filtration. Strong trust factors with reviews site badges, experience info, and testimonials. Put all this together and you start getting amazing conversion rates. Not every site hits these numbers, but if you’re a contracting business that’s under 10% conversion rates on your website, look into updating your website and making sure your tracking is accurate.